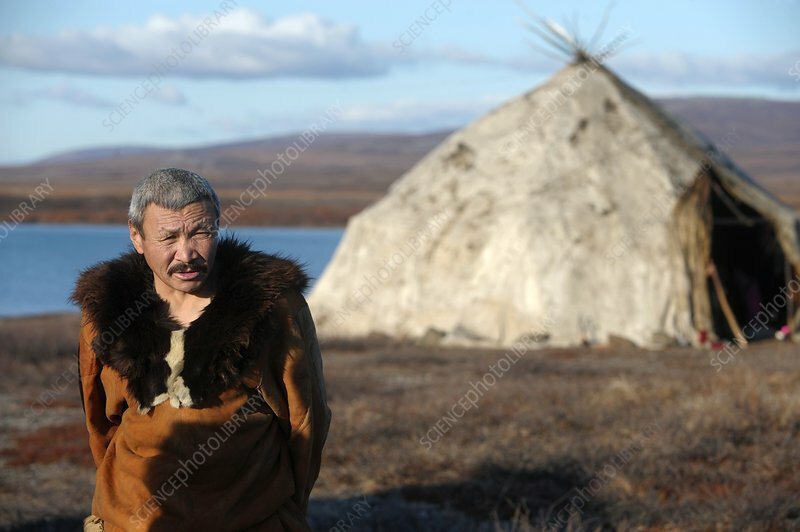 Chukchi reindeer herder outside his tent. The Chukchi, or Chukchee, are an indigenous people inhabiting the Chukchi Peninsula and the shores of the Chukchi Sea and the Bering Sea region of Russia. Photographed in Chukotka Autonomous Okrug, Russia.